Blog | Chelsea Community Kitchen | Devoted to creating a healthy, local, and sustainable food culture through classroom and real-world education. Soak the tomatoes in hot water 20 to 30 minutes, until soft. Drain and chop finely. In a medium bowl mix tomatoes, goat cheese and pesto. Use a serrated knife to cut baguette into ½ inch slices. Arrange on a cookie sheet. Mix olive oil and garlic in a small bowl. Sprinkle in a little black pepper. Use a pastry brush to brush oil mixture onto baguette slices. Toast in oven for 2 or 3 minutes, just until lightly toasted and slightly browned. Just before serving time, spread a little of the goat cheese mixture on each baguette slice. Garnish with chopped basil. NOTE: This is the recipe as Jake wrote it. It makes 1 big tart, not the individual appetizers we had at our feast. We adapted this recipe for the feast. Line a baking sheet with parchment paper or Silpat sheet. On a lightly floured surface, roll puff pastry into a 10 inch x 14 inch rectangle. Transfer to the lined baking sheet. Sprinkle cheese on the pastry, leaving a 2 inch border around the outside. Line tomatoes up on cheese. Top with bacon. Top with thyme leaves. Sprinkle with salt and pepper. Fold long ends of pastry slightly over the filling. Then the short ends, pinching to seal. Cut vents in the pastry. Beat the egg slightly with a little water. Brush on pastry. Peel grapefruit. Remove any traces of white pith. Use a knife to cut down between the membranes of each section of grapefruit and remove sections, leaving membranes behind. Remove seeds. Put vinegar, lemon juice, honey, grapefruit juice, canola oil and grapefruit sections in a blender or food processor. Blend until smooth. Season to taste with a little salt and pepper. Chill while you prepare the salad. NOTE: If you do not have a blender or food processor, chop the grapefruit small, whisk the remaining ingredients together, then stir in the grapefruit. Wash lettuce with cool water. Drain in a large strainer or a colander. Dry in a salad spinner, or pat dry with paper towels. To chop parsley: remove stems, wash parsely in cool water, drain, put in paper towels or a clean cloth towel. Roll up tightly and twist to dry thoroughly. Then put on cutting board and chop finely. Wash celery well. Dice small. Wash apples. Remove core and seeds. Dice medium. Toss with lemon juice to prevent browning. Chill ingredients separately until ready to serve. To serve: Toss lettuce, parsley, celery and drained apples in a bowl. Pour vinaigrette over then toss again. Sprinkle with nuts and cheese. Line a baking sheet with parchment paper (or grease it lightly with butter or cooking spray). In a medium bowl, sift together flour, sugar, baking powder, salt, baking soda and pepper. Add rosemary. Use a fork to stir together. Add butter. Use a pastry blender, a fork, or your fingers to work butter in, until mixture resembles coarse crumbs. Add grated orange rind to 1 cup of the buttermilk. Add buttermik to dry ingredients. Stir with a fork just until dry ingredients are moistened. Put dough on a lightly floured table. Form into a ball. Put some flour on your hands. Knead dough gently 6 or 7 times. Shape with hands into a rectangle 7 inches x 10 inches, about ¾ inch thick. Use a dough knife or table knife to cut into 3 strips. Cut each strip in half. Cut each half into 2 triangles. Set pieces on prepared cookie sheet. Brush with the 2 tablespoons of buttermilk. Bake 12 to 14 minutes, until golden brown. Serve warm with honey or butter. Wash plum tomatoes. Cut in half the long way with a serrated knife. Working over a sink or bowl, use spoon or thumb to remove seeds, Discard seeds. Dice or chop tomatoes (no need to remove skin before chopping). Peel shallot. Cut in half. Chop finely. Wash parsley. Roll in paper towels, squeeze well to dry. Chop finely. Peel garlic. Put through garlic press. Drain and measure capers. Measure red wine vinegar. . Remove chicken breasts from package. Trim off fat. Pat dry with paper towels. Cut into strips, about 1 inch wide. Fill a large saucepan or Dutch oven 2/3 full of water. Turn on to boil so it is ready to cook the pasta later. Heat oil in a large saute pan over medium heat. Add chicken. Cook and stir for about 5 minutes. Add shallot and garlic. Saute 2 to 3 minutes. Keep chicken mixture warm while you cook pasta. Drop pasta carefully into boiling water. Stir. Cook pasta 8 or 9 minutes, until cooked through. Drain pasta. Toss with a little olive oil if desired, to keep it from sticking together. Serve chicken over hot pasta. 12 oz. fettucini Chopped fresh parsley for garnish. Heat a large pot of water to boiling. Cook fetucini in boiling water for 8 minutes, or until al dente. Drain and toss with a bit of olive oil. Set aside. Wash broccoli. Cut into florets. Put 2 to 3 inches of water in a large sauce pan. Heat to simmer. Put broccoli in a steamer basket or colander and set over water. Cover and steam for 2 to 3 minutes. Trim chicken. Heat oil in saute pan. Sprinkle chicken with salt. Saute chicken until golden brown and cooked through. Add oregano and red pepper. Cook 2 minutes more. Remove from pan and keep warm. Put butter, milk and cream cheese in a heavy bottomed saucepan. Heat over low to medium heat, stirring often,until cream cheese is melted. add garlic. Saute 1 minute. Stir in broccoli and pasta. Stir in alfredo sauce. Serve in large white baking dish. Arrange cooked chicken on top. Sprinkle with 2 tablespoons Parmesan cheese. Garnish with parsley. Sift flours and salt together in a medium bowl. Put water and oil into a small bowl. Add liquids to dry ingredients. Stir with a fork. If dough is too dry, add a bit more ice water. Form into 2 balls. Place 1 ball on a 12 inch by 12 inch square of waxed paper. Top with another 12 inch by 12 inch piece of waxed paper. Use a rolling pin to roll dough out, working gently from the center in all directions, until circle reaches the edges of the paper. Carefully peel off the top layer of paper. Turn the dough into a 9 inch pie plate. Gently peel off waxed paper. Repeat the rolling process for the top crust. In a large saute pan or fry pan, heat canola oil over medium heat. Add onions, carrots and celery. Cook and stir until tender/crisp (not brown). Blend in flour and salt. Cook for 1 minute, stirring constantly. Slowly add milk, stirring as you add. Do the same with the chicken stock. Stir chicken into sauce. Return to a simmer. Heat 1 more minute. Remove from heat and set aside. Prick bottom and sides of pie crust a lot with a fork, Put empty pie shell in the oven. Bake 5 to 6 minutes, until lightly browned. Remove from oven. Let cool 2 minutes. Spoon chicken mixture into crust. Brush the edge of the crust with about 1 tablespoon of water. Remove top layer of waxed paper from second crust. Carefully lay crust on top of pie. Crimp edges. Use a small, sharp knife to cut 2 or 3 slits in the top crust. Set pie pan on a baking sheet. Bake 30 to 35 minutes, until crust is golden brown. Cut the butter into small pieces, using a table knife. Put butter, flour and salt into food processor. Pulse on and off about 10 times, until it resembles crumbs. Add 8 tablespoons of cold water. Pulse until it begins to from a ball. Add more water if needed. (If you don’t have a food processor, cut butter into flour mixture with a pastry blender or fork. Mix water in with a fork). Remove dough carefully from the food processor (blade is sharp!). Divide into 2 pieces, roll each gently into a ball, wrap in plastic wrap and refrigerate for 15 minutes., or until filling is ready. Wash and sort berries, removing stems and mushy or green berries. Place berries in a large bowl. Add remaining ingredients (except 2 T. sugar). Toss to mix. Sprinkle table lightly with flour. Roll out one ball of dough evenly, working from the middle toward all edges. Crust should be thin and larger than the pie pan when done. Fold the crust in half, then in fourths. Lift gently and center middle of fold in center of pie pan. Carefully unfold crust. Press gently into pan. Use a table knife to trim crust even with the outside edge of the pie pan. Roll out top crust. Use a fluted pastry wheel or a pizza cutter to cut strips, about ½ inch wide. Lay strips on lattice fashion, weaing one under the other. Trim off excess and crimp edges with your finger or a fork. Bake 1 hour, or until bubbly and crust is golden brown. Garnish with sugar. First: Separate whites from yolks of 4 eggs, about ½ hour before starting cake. To be sure there is no yolk in the whites (any fat, including the fat that is in the yolk, will prevent the whites from getting being beaten to the fluffiness that is needed for the cake to rise and be light and tender). So…use the 3 bowl method. Break an egg, separate the yolk, put the yolk in a bowl, if there is no yolk in the white, put the white in the large mixing bowl. If there is yolk in the white, save that egg for an omelet and try again with a clean bowl. Break a second egg, put the yolk in with the other yolk, and if there is not yolk in the white, add it to the large mixing bowl. When you get 4 eggs in the mixing bowl without ANY egg yolk in the whites, let the whites set at room temperature while you make the lemon custard. In a medium heavy bottomed saucepan, mix sugar and cornstarch. Gradually stir in milk. Heat over low heat, whisking until smooth. Whisk in salt and egg yolks. Turn heat to medium. Cook and stir until mixture boils. Whisk in lemon juice. Cook 1 minute. Remove from heat. Cover with plastic wrap or waxed paper, pressing it against the custard to prevent a skin from forming. Set aside while you make the cake. Beat egg whites and salt until stiff. Fold in vanilla gently. In a separate bowl mix sugar, flour and almonds. Carefully fold into egg whites, using a large spoon or rubber scraper. Do not over mix. Lay a piece of parchment paper on a cookie sheet. Put batter on the sheet. Spread out gently into a 6 inch by 10 inch rectangle. Remove from oven. Cool 10 minutes. Lay a clean sheet of parchment paper on the counter. Sprinkle it evenly with powdered sugar (it works well to put the powdered sugar in a mesh strainer or sieve, and shake gently over the paper). Flip cake onto powdered sugar covered parchment. Carefully peel parchment off of cake. Spread 1 ¼ cup of the the custard over the cake. Roll from the long end, like a jelly roll. Wrap the parchment around the filled cake, twisting the ends to hold it. Refrigerate rolled cake for at least 3 hours. Meanwhile, wash and prepare fresh blueberries, raspberries, blackberries or strawberries, or a combination of those. Then, remove parchment, cut cake roll into slices, and serve with fresh berries. Do you like working with children? Enjoy cooking and have basic kitchen knowledge? Join Chelsea Community Kitchen this Winter for their Kid’s Cooking After School camp, January 30 – March 8, 2018, at Beach Middle School Food Lab as a Volunteer Teacher Aid. CCK is looking for individuals to assist our camp instructor with leading groups, assisting kids with cooking activities, setup and cleanup, and making sure the camp runs smoothly. We are looking for three volunteers for each time slot. If the time slot you prefer is filled, please contact us at chelseacommunitykitchen@gmail.com, and we can make adjustments. Posted in Uncategorized	| Comments Off on Volunteers Needed! SUMMER 2017 CHEF’S CLUB – FARM FRESH AND FABULOUS! Wash Romaine under cool water. Drain in colander. Pat dry with clean cloth towel or paper towels. Put lettuce on a cutting board. Use a chef’s knife to shred, then chop small. Prep all fruit as directed below. Put into plastic bags. Put on tray. Refrigerate. Wash strawberries. Drain. Quarter and hull. Wash kiwi. Cut in half across the middle. Use a soup spoon to remove fruit from skin. Slice fruit 1/4” thick. Put in a small dish. Cover, label and refrigerate. Wash and drain all vegetables. Spread olive oil of a cookies sheet (one that has sides so oil stays on). Prep veggies as decribed below. Place in a 9” x 13” x 2′ baking dish. Remove ends from green beans. Cut at a diagonal into 1” pieces. Cut cauliflower and broccoli into florets. Slice zucchini and summer squash with fluted slicer. Peel onion. Slice with slicing blade of food processor. Measure garlic. Add to veggies. Push some veggies aside to make room for chicken breasts. Lay breast on pan upside down to coat outside. Then turn chicken over and lay in dish. Slice sausage into 1” slices. Add to veggies, spreading evenly around dish. Bake at 350º F for 1 to 1 ½ hours, until veggies are tender and chicken reaches 165º F. internal temperature. Put chicken breasts in a saucepan. Cover with water. Heat over high heat until it boils. Reduce heat to simmer. Simmer 20 minutes. Drain and cool. Wash zucchini, Cut in half lengthwise. Use a melon baller or spoon to remove flesh, leaving about 1/4th inch of skin and flesh. In a large saute pan, heat oil Saute onion and bell pepper 2 to 3 minutes, until onions are translucent. Add chopped zucchini. Sprinkle with salt and pepper. Cook and stir 4 minutes. Stir in cumin, oregano, chili powder, water and tomato paste. Cook and stir 3 minutes. Trim and shred cooked chicken breasts. Add to veggie mixture. Spread ½ cup enchilada sauce in the bottom of a large baking dish. Set zucchini “boats” open side up on sauce. Fill each boat with chicken mixture. Drizzle remaining sauce on top. Sprinkle with cheese. Cover loosely with foil. Bake at 400º F. for 35 minutes. Garnish with sliced green onion tops. In a small bowl, mix mustard, honey and ¼ cup of the olive oil. Rub over chicken. Spread thighs out on a cookie sheet (one with sides). Sprinkle with half of the salt and some pepper. Wash potatoes. Cut in half. Place in a large bowl. Wash and peel carrots. Remove top and bottom. Cut at a diagonal into 1” pieces. Place in bowl with potatoes. Peel and quarter onions. Add to bowl of potatoes. Add remaining olive oil. Toss to coat. Sprinkle with remaining salt and some pepper. Toss again. Spread vegetables of cookie sheet, aroung chicken pieces. Cover and refrigerate until ready to cook. Uncover and roast until caramelized and tender, stirring once or twice during cooking (BE CAREFUL – HOT!) – about 45 minutes total. Chicken is done when it reaches an internal temperature of 165º F., or until the inside along the bone no longer shows pink liquid when cut. Wash green beans. Trim off ends. Cut at a diagonal into 1” pieces. Fill a medium saucepan half full of water. Bring to a boil. Drop beans in water. Return to boil, then reduce to simmer. Stir in butter, garlic and salt. Put in hot serving dish. Sprinkle with lemon pepper. Fill a stock pot or Dutch oven half full of water. Bring to a boil. Remove husk and silk from corn. Wash corn to remove remaining silk. Drop corn CAREFULLY into boiling water. Cook 6 minutes. Turn off heat. Use tongs to remove corn from water. Set on a large plate to cool while you get out remaining ingredients. Carefully cut kernels of corn off cob. Discard cob. In a large saute pan, over medium heat, heat olive oil. Add bacon. Cook and stir until crisp. (If it starts to splatter, turn heat down). Remove bacon with a slotted spoon, and set on paper towel lined plate to cool. Drain grease into a ceramic bowl. Return 2 teaspoons of olive oil to pan. Add onions. Saute over medium heat until translucent. Stir in corn. Saute just until it stars to caramelize. Stir in thyme and bacon. In a large bowl, put flour, oats, sugar and salt. Stir in coconut oil, Mix with fingertips until clumps form. Mix in coconut flakes. Add sugar and flour. Stir with a rubber scraper. Wash and sort raspberries. Carefully fold into apples. Spread evenly in a buttered 3 quart baking dish. Bake 40 to 45 minutes, until apples are tender and bubbly. Spray cookie sheet lightly with cooking spray. Put butter on a cutting board or mat. Cut butter into small pieces with a table knife. Cut butter into flour with a pastry blender or fork or 2 table knives, until mixture resembles fine crumbs. In another bowl, whisk yogurt, syrup, 2 tablespoons milk and vanilla. Pour liquid mixture into flour mixture. Stir with mixing spoon, just until blended. Use a rubber scraper to fold in chocolate chips. Place dough on cookie sheet, using a rubber scraper to get all the dough out of the bowl. Press dough into a circle, about ¾ inch thick. Bake 17 to 20 minutes, until tops are golden brown. Let cool on cookie sheet 5 minutes, then place on cooling rack. White whole wheat flour has more fiber and nutrients than refined white flour. You can use ½ whole wheat and half white whole wheat flour to make these even more nutritious. Whole milk works well for this recipe, but any kind of milk will work, including almond or soymilk. PLAN AHEAD. IT TAKES TIME FOR THE DOUGH TO THAW. Wash red pepper. Cut in half with a table knife. Remove seeds, first with the knife, then by running under cold water to get all the seeds out. Pat dry with kitchen towel or paper towel. Cut into small cubes using table knife or clam shell chopper or spring chopper. Put thawed dough on a cutting boardor mat. Use a table knife or dough knife to cut into 8 equal pieces. Brush large cookie sheets lightly with olive oil. Roll thawed dough into a smooth ball. Place on a lightly floured counter or table. Use a rolling pin to roll out crust into a large circle. Put on cookie sheet. Spread 1 to 2 tablespoons of sauce on each dough round, leaving a space around the edge. Sprinkle with red pepper cubes. Bake 10 to 12 minutes, until crust is golden brown. Whole wheat rolls are loaded with fiber, vitamins and minerals. If kids are cutting peppers with a table knife (or even with a sharp knife if you allow that), put the pepper on the cutting board skin side down. With a table knife, you will need to use a slight sawing motion to cut through the skin. Lightly spray an 8 inch square baking dish with cooking spray. Put coconut oil in a small, microwave safe dish. Melt for 10 seconds. Put dry ingredients in a medium mixing bowl, blend with a whisk. In a separate medium bowl, whisk melted coconut oil, eggs, syrup, vanilla and yogurt. Use a rubber scraper to get all the syrup out of the measuring cup. Add liquid ingredients to dry ingredients. Stir with a mixing spoon just until blended. Do not beat. Spread into baking pan. Bake 18 minutes. Put coconut oil in a small saucepan. Melt over low heat. Stir in chocolate chips. Heat over low heat, stirring with a wooden spoon or heat proof plastic spoon until melted. Use a spoon to drizzle frosting onto warm brownies. Coconut oil is used in place of butter. Whole wheat flour is used in place of white refined flour. Maple syrup is used in place of refined sugar. Coconut oil is solid at room temperature, but melts at low temperatures. Microwave quickly to melt. To measure solid coconut oil, press firmly into a dry measuring cup, being sure to fill in completely. To prepare spinach: Wash leaves well in cool water. Drain in colander or large sieve over a large bowl. Pat dry with a kitchen towel or paper towels. Fold leaf in half and tear out large stems. Tear leaves into bite sized pieces. Put hummus, prepared spinach, half of cheese, and seasoning in a large bowl. Blend with a mixing spoon. Use rubber scraper to pread mixture in a pie dish. Sprinkle with remaining cheese. Bake 20 to 25 minutes. Cool 10 minutes before serving. Wash all vegetables. Cut peppers in half. Remove seeds. Rinse under cold water to get all seeds out. Put pepper on a cutting board or mat. Use a table knife (AKA butter knife) to cut into strips. Hummus is high in fiber, vitamins and minerals. Fresh spinach tends to have a lot of dirt on it (unless you buy it pre-washed). Put it in a bowl of cold water, swish it around with your hand, drain, repeat several times, then drain in a colander or strainer before patting dry. If you try to tear the spinach while it is wet, it well turn to mush, so dry it first. This dip is great with healthy crackers or baked corn chips too. In a large bowl, stir together flour and salt. Use a pastry blender, fork or 2 knives to cut butter into flour. Stir in ice water, 1 tablespoon at a time, until mixture forms a ball. Place on a piece of plastic wrap. Flatten into a large circle. Wrap tightly and refrigerate while you prepare the filling. Wash blueberries. Drain in a colander or sieve over a bowl. Wash lemon with cool water. Use a fine grater or zester to zest lemon, removing only the thin yellow layer of skin, not the white pith. Put berries in a bowl. Stir in lemon zest. Use a rolling pin to roll out pie dough. Use a small bowl as a guide and cut circles from dough with table knife. Put a circle on a cookie sheet. Add a dollop of cheese and a few blueberries. Fold over and seal edges by pressing with a fork. Beat egg white and water in a small bow with a fork or whisk. Brush on pie. Sprinkle lightly with sugar. Bake 18 minutes, or until golden brown. Fresh fruit is full of vitamins, minerals and fiber. White whole wheat flour replaces refined white flour. Try different fillings – apple, cherry, strawberry ….. When dusting counter with flour, use a light touch. Too much flour will make the dough dry and crumbly. Resist the urge to knead the dough. The less the dough is worked, the more tender the crust will be. Be sure butter and water are very cold. Put flour and salt in a food processor. Pulse 2 times to blend. Mix milk and oil in measuring cup. Whisk together. Pour slowly into food processor chute, while pulsing to blend. When dough forms a ball, it is ready. Wrap dough in plastic wrap and refrigerate while preparing filling. Heat grapeseed oil in a large saute pan or fry pan over medium heat. Add ground beef. Stir and cook until meat is no longer pink. Put meat in a colander over a bowl to drain off fat. Pat meat with paper towels to further remove fat. Return meat to pan. Add onion powder, garlic powder and beef broth. Heat to simmer. Turn to low heat. Add to meat mixture. Cook and stir 5 minutes. Add Worcestershire and catsup. Simmer over medium low heat, stirring often, until liquid is cooked out. Lightly dust counter with flour. Roll out ½ of pie dough into large circle. Use a small bowl as a guide to cut circles. Repeat with all the dough. Spray cookie sheets lightly with cooking spray. Fold other half of circle over filling. Seal edges by pressing with a fork. In a small bowl, whisk egg white and water. Brush on pie. Repeat until all the dough is used. Bake 45 minutes, until golden brown. Lean beef provides quality protein plusiron and other minerals. Spelt flour is whole grain (and contains no gluten – a plus for those who are senstive to gluten). Potatoes and carrot add fiber, vitamins and minerals. Measure out ¼ cup of the water in a liquid measuring cup. Stir in yeast and a pinch of sugar. Let set while you measure other ingredients. Put butter on a cutting board or mat, and use a table knife to cut it into 6 pieces. Put all the flour (3 kinds) in a large mixing bowl. Stir in salt and dry milk with a mixing spoon (or you can do this in a large electric mixer with a dough hook). Stir in orange juice, remaining ¾ cup water, butter, honey and yeast mixture. Knead by hand or with mixer and dough hook 5 to 7 minutes, until dough is smooth and elastic. Grease a large bowl with butter or cooking spray. Put dough ball in bowl, Turn over until complete surface of the ball is greased. Cover with a clean cloth and set in a warm (not hot) place to rise. When dough has doubled in size (this could take 1 ½ to 2 hours), gently press it down in the bowl. Turn onto the counter and use a dough knife or table knife to cut into 24 equal sized pieces. Butter the insides of a ” x 13” x 2” baking dish. Roll dough into smooth balls. Arrange in dish, leaving some space between each roll. Cover with a clean towel and let rise in a warm place until doubled. Bake in pre-heat 350º oven for 15 minutes. Cover with foil & bake 10 – 13 minutes. It is made from scratch – no artificial colors, flavor, preservatives. Unbleached flour is better for you than bleached flour. While whole wheat flour has more fiber, vitamins and minerals than refined white flour. Do not use hot water to dissolve the yeast. You want the yeast to live and grow. Kneading by hand is great exercise! Fill a large saucepan or Dutch oven with water. Bring to a boil over high heat. Stir in pasta. Reduce heat to simmer. Cook 7 minutes. GET AN ADULT TO DRAIN THE PASTA FOR YOU IN A COLANDER – BE CAREFUL – EVEN THE STEAM CAN BURN YOU.) Toss with olive oil. Don’t worry if some drains into the sink. The oil is just to prevent the noodles from sticking together. Wash bell pepper. Cut in half. Remove seeds. Cut into chunks. Peel onion, cut into 4 pieces. Put tomatoes, bell pepper, onion, garlic, chili powder. Process until pepper and onion are very small. BE CAREFULL WITH BLADES – THEY ARE VERY SHARP! In a large bowl, mix noodles, tomato mixture, chicken, green chilis and sour cream. Put mixture into a 9” x13” x 2” baking dish. Bake 20 minutes. Sprinkle remaining cheese on top. Bake 10 to 15 minutes longer, until center is hot. Whole wheat noodles have more fiber, vitamins and minerals. Chicken adds high quality protein. Try quinoa pasta, or any of the other non-wheat pastas. It is not necessary to process tomatoes, etc. but it makes the dish more palatable for some kids who do not like chunks of tomato or onion. For chicken: Buy a chunk of high qulity deli chicken, or cut up some rotisserie chicken, or bake couple of boneless, skinless chicken breasts. Move oven rack down below center of oven. Pre-heat oven to 350º F.
Use a sifter or mesh sieve to sift powdered sugar and flour together onto waxed paper. Return mixture to sifter and sift again. In a large mixing bowl combine egg whites, cream of tartar, salt, vanilla and almond extract. Beat with a wire whip at medium speed with electric mixer (you can use a hand mixer and regular beaters, but it will take longer to beat) until soft peaks begin to form. Add sugar slowly, 1 tablespoon at a time, while continuing to beat. Use a clean, grease free rubber scraper to gently fold in flour mixture, ½ cup at a time. Spoon into an un-greased angel food cake (tube) pan. Spread evenly. Run a table knife back and forth in the batter to remove large air bubbles. Bake 45 minutes, until to is golden, and cracks are dry. Cake should bounce back when pressed gently with finger. When cool, run a table knife around the inside edges of the pan, press bottom of pan out, invert cake on plate. While cake is baking, prepare fresh fruit. Wash any combination of strawberries, raspberries, blueberries, peaches, etc. Cut fruit as needed. This cake is high is sugar, so cut small pieces. Egg whites add a lot of high quality protein. Fresh fruit provides fiber, vitamins and minerals. It is very important that your bowl and utensils be totally grease free. Any fat will prevent the egg whites from becoming stiff and holding the air that makes this cake light and fluffy. Use the 3 bowl method to separate eggs. 1 medium sized bowl just for yolks, 1 medium sized bowl for white, 1 small bowl for the white from the egg you are currently breaking. Crack one egg, shift yolk carefully from one side of the shell to the other, letting white fall into the bowl. Put yolk in medium bowl. Check white for specks of yolk. If it is clear, put in medium bowl. Repeat until you have enough whites for the recipe. It takes time, but it is worth it! Line a baking sheet with parchment paper. Lightly spray paper with cooking spray. Wash cauliflower. Drain in a colander over a large bowl. Remove leaves from cauliflower. Have an adult cut out the core with a sharp knife. Break into small florets. Put florets of a cutting board or mat. Use a table knife to cut off stems of forets. Put florets in a food processor. Pulse until finely chopped (it will look like rice). Parmesan cheese, using a large mixing spoon. Mix in oregano, a couple of pinches of salt, and a pinch of pepper. Put ”dough” onparchment lined baking sheet. Pat out to about ½ inch thick. Sprinkle with remaining cheese. Return to oven. Bake 5 to 10 minutes, until cheese is melted. Slice into ”breadsticks”. Serve with marinara sauce or ranch for dipping. Cauliflower if loaded with fiber, vitamins and minerals. Marinara sauce adds important vitamins. If you do not have a food processor, look for riced cauliflower in the grocery store. This is best served shortly after it is baked. In a large bowl, stir together flour, baking powder, baking soda and salt. Stir in coconut oil. Blend in with pastry blender or fork until crumbly. Mix buttermilk and honey. Add to flour mixture. Stir with a mixing spoon to blend and form dough. Dust a clean table or countertop lightly with flour. Spoon dough onto floured surface. Knead with hands for 2 minutes. Use a dough knife or table knife (aka butter knife) to cut into 12 pieces. Roll each piece into a ball and set on a ungreased cookie sheet. Press down with heel of hand until about ½ inch thick. Bake about 12 minutes, until golden brown on outside, and cooked in middle. Serve hot with butter, honey or jam. NOTE: These are best when they are just out of the oven. Yummm! White whole wheat flour has more fiber than refined white flour. Honey is used in place of sugar. Only a little salt is used. Measuring dry ingredients can be messy! Put a piece of waxed paper on the countr to catch spills. Pick up waxed paper after measuring and use as a funnel to return excess ingredients to their container. A dough knife is also called a bench scraper. It is a large, dull metal blade, about 3” x 4” with a wooden or plastic handle across the top edge. Vegetables of choice – red or green pepper, broccoli, cauliflower, shredded carrot, etc. Brush cookie sheet lightly with oil. Place Naan on cookie sheet. Brush Naan with olive oil. Spread each Naan with 1 to 2 tablespoons pizza sauce. Sprinkle chopped veggies over sauce. Top with 2 tablespoons of cheese. Bake 10 to 15 minutes, until crust is golden. Kids can easily chop vegetables with a clamshell chopper .Find one at a garage sale or kitchen store (about $20.00 at Bed, Bath and Beyond). Place dry ingredients (except chocolate chips) in a mixing bowl. Stir to blend. In a medium bowl whisk together milk, oil and vanilla. Place banana on a cutting mat. Use a table knife to cut into small pieces, 18”. Stir liquid ingredients and banana into flour mixture. Use a soup spoon or small cookie scoop to drop cookies onto parchment lined cookie sheet. Cool 5 or 10 minutes before removing from cookie sheet to cool on racks. No refined flour. Whole grains used. You can make your own oat flour. Put oatmeal in a blender for food processor. Blend until flour like. Chocolate chips are not liquid, but they are not included in “dry” ingredients. Put oil into a large mixing bowl. In a small bowl, mix Parmesan cheese, parsley, salt and pepper. Put cut potatoes in bowl with oil. Toss or stir to coat potatoes with oil. Sprinkle with Parmesan cheese mixture. Toss to coat. Spread in1 layer on a large cookie sheet. Bake about 10 minutes. Turn fries over with a large spatula. Bake 5 to 10 minutes more, until fries are golden brown and crispy on outside and tender on the inside. Whisk together in a medium bowl Chill. Keep refrigerated. No artificial colors, flavors or preservatives in fries or dressing. Leaving skin on potatoes provides more nutrients than peeling them. Drop potatoes into the oil and toss to coat as you cut them, and toss after each addition. This will prevent browning of the potatoes. not break down and form harmful substances at high heat. It also has a nice, light flavor and a long shelf life. Kids can cut potatoes with a table knife on a cutting board, if you first slice them (the first long cuts usually require a sharp knife. The fries may not be uniform in size and shape, but they will still be yummy! Allow egg whites to stand at room temperature for 30 minutes. Draw six circles. 4 inches in diameter, on the paper. Get an adult to help you separate the egg whites from the yolks. Be very careful not to get ANY yolk in the whites. If you break a yolk and some gets in the whites, save that for scrambled eggs of baking. Get a fresh bowl and try again. Put egg whites, vanilla and cream of tartar in a large mixing bowl. Beat with electric mixer at medium speed until soft peaks form. Add sugar 1 tablespoon at a time, beating on high speed until very stillpeaks form and sugar is dissolved. Divide meringue onto the 6 circles. Spread out with the back of a spoon to fill circle, making a depression in the center to form a shallow bowl. Bake 35 minutes. Then turn off oven but leave meringues in the oven with door closed for 1 hour. After 1 hour remove from oven. Lift off meringues with a flat spatula. While meringues are cooking, wash and prepare fresh fruit. Fresh fruit has lots of vitamins, minerals and fiber. Follow the directions for separating egg whites and yolks carefully. If you get any yolk in the whites, they will not hold the air bubbles needed to make the meringuw fluffy and light. If your circles are not exactly 4” in diameter, it is O.K. Larger or smaller circles may require more or less baking time. Put cream cheese and salsa in a medium bowl. Use a pastry blender or fork to mash the cream cheese and blend in the salsa. Wash Romaine leaves. Pat dry with a kitchen towel or paper towel. Lay a tortilla on a cookie sheet. Spread with 1/4th of the cream cheese mixture. Lay 1 Romaine leaf, 1 slice turkey and one slice cheese on top of cream cheese. Roll into a tight roll. Secure with 2 or 3 toothpicks. Wrap in plastic wrap and refrigerate at least ½ hour. Unwrap, cut in half and ENJOY. Whole wheat tortillas have more fiber, vitamins and minerals that white flour tortillas. Adding salsas to cream cheese adds vitamins and minerals. Choose the best quality turkey and cheese for added benefits. Pre-heat oven to 350º F..
Lightly spray 8 inch square baking dish with cooking spray. Break egg into a small bowl. Put bananas, honey, egg and yogurt in in a food processor or blender. In a large bowl, whisk together dry ingredients (except chocolate chips). Add banana mixture. Stir with a mixing spoon just until combined. Do not beat. Pour into prepared dish, using a rubber scraper to get all the batter out of the bowl. Smooth and level top of batter with the rubber scraper. Bake 50 to 55 minutes, or until toothpick inserted in the center comes out clean. Whole wheat flour has more fiber, vitamins and minerals than refined white flour. You can use a hand blender (the kind used to puree soups) to blend banana mixture. If you don’t have a blender or food processor, mash with a fork then mix vigorously. Use ripe bananas for maximum sweetness. Put all ingredients except gelatin in a medium saucepan. Sprinkle gelatin slowly, in small bits, over juice mixture, while whisking briskly. Heat gently, stirring constantly, until gelatin is melted and evenly blended. It should look glossy and smooth. Place gummy bear mold on a cookie sheet with sides. Carefully fill molds. Set in freezer (be careful not to tip!). Freeze for 20 to 30 minutes. Remove from freezer. Pop bears out of mold. If you do not have molds, brush an 8”x8”x2” baking dish with coconut oil. Pour gelatin mixture in. Chill until firm, then cut shapes with cookie cutters. Frozen fruit works fine for these treats. Thaw, mash, strain (if desired). The seeds are healthy, but so is the strained juice. If you plan to strain the berries, you will need more to start with. Line 2 cookie sheets with parchment paper. Spray paper lightly with cooking spray. Put water and yeast in a large mixing bowl. Stir. Let set 5 minutes while you measure the other ingredients. Mix flours and salt in a medium bowl. Stir honey and flour mixture into yeast. Put dough on a lightly floured counter or table. Knead 5 minutes. Roll out dough 1/2” thick. Cut into shapes with cookie cutters dipped in flour. Mix warm water and baking soda. Repeat until all shapes are dipped. Sprinkle lightly with coarse salt. Bake about 15 minutes, until golden brown. Place ingredients in a small bowl. Whisk together. Cover and refrigerate. Yeast is a living organism. If you kill it, it won’t grow and do its job. Be sure the water is just warm (100º to 110º), not hot, so the yeast can survive and grow. Spray a cookie sheet lightly with cooking spray. Wash broccoli. Place on a cutting board. Use a table knife to cut into florets. Put florets in a microwave safe bowl. Cover bowl with waxed paper. Place in microwave. Cook 1 to 2 minutes, just until tender crisp. Place additional Panko crumbs in a small bowl. Use a soup spoon or small cookie scoop to spoon balls of dough into crumbs. Roll to coat ball with crumbs. Place balls on cookie sheet. Flatten with the bottom on a glass (dip in additional crumbs if it begins to stick), until about 1/4th inch thick. Bake 8 to 10 minutes, or until crispy on outside. Cool 5 minutes on cookie sheet before removing. Serve warm with ranch dip. Broccoli is rich in vitamins, minerals and fiber. This is also good made with cauliflower, or a combination of broccoli and cauliflower. Wash and dry counter or table. Whisk with a fork or whisk. Cut the butter into pea sized pieces. Add butter to flour mixture. Mash butter into flour with a fork or pastry blender, until mixture looks like coarse crumbs. Spread a little flour on the counter or table. Put dough on the floured counter or table, and pat it out with your hands until it is about ¾ inch thick. If the dough sticks to your hands, coat your hands with some flour. Use a round cookie cutter or an upside down glass to cut out biscuit rounds. Press scraps of dough together and cut as many biscuits as you can from the dough. Put biscuits on ungreased baking sheet. Bake10 to 12 minutes. Let cool 5 minutes, then use a spatula to remove biscuits from cookie sheet. WHAT MAKES THESE FOODS GOOD FOR YOU? Whole wheat flour has more fiber and vitamins and minerals than refined white flour. Peanut butter in smoothie adds protein. Natural peanut butter has no added sugar. Berries add fiber, vitamins and minerals. Use 1 T. of the butter to grease the insides of an 8” x 8” x 2 glass baking dish. Put 2 cups of the water in a medium saucepan and bring to a boil. Meanwhile, mix remaining 1 ¼ cup water with the polenta, herbs and salt. Turn heat to low and slowly and CAREFULLY whisk the polenta mixture into the boiling water. Cook and whisk over low heat for 10 to 15 minutes, until polenta begins to pull away from the sides of the pan. Remove from heat and stir in Parmesan cheese and tablespoon of butter. VERY CAREFULLY use a rubber scraper to put polenta into the prepared baking dish. Bake 20 to 30 minutes, until top is brown. NOTE: Baking is always done uncovered, in the oven. Serve with marinara sauce and Parmesan cheese. Heat olive oil in a medium, heavy bottomed saucepan. Sauté 2 to 3 minutes, until onion is transparent. Wash tomatoes. Use a serrated knife to cut in quarters and remove stem. Place tomatoes plus onion and garlic in food processor or blender and process until smooth. Return mixture to saucepan. Cook and stir over medium low heat, stirring often, 15 minutes. NOTE: This recipe makes a small batch of sauce. It can be doubled or tripled as needed to feed more people. THIS SAUCE WILL STAY FRESH IN THE REFRIGERATOR FOR UP TO 3 DAYS. FOR LONGER STORAGE, PLACE COOLED SAUCE IN A ZIPLOC BAG, SEAL AND FREEZE. Fill a large saucepan or dutch oven 2/3 full of water. Have an adult drain the macaroni into a colander or strainer in the sink. While macaroni is cooking, place milk, chickpeas and seasonings in a blender or food processor. Blend until smooth. Brush the insides (bottom and sides) of a large saucepan with olive oil. Heat over low heat 2 minutes, stirring constantly. Stir in cheese. Heat and stir over low heat until cheese is melted. Stir in drained macaroni. Heat and stir 1 to 2 minutes. Why is this mac and cheese better? Whole wheat pasta has more fiber and nutrients than pasta made with refined white flour. Chickpeas add more fiber and nutrients. Less fat because it uses skim milk. Garlic powder and paprika add flavor, so less salt can be used. Cover a cookie sheet with parchment paper or waxed paper. Mix flour and salt together in a small bowl. Whisk egg yolks and vanilla together in another small bowl. In a large bowl beat egg whites with electric mixer until stiff. Use a rubber scraper to fold in powdered sugar. Stir the egg yolks and vanilla into the beaten egg whites. Fold in flour and salt just until mixed. Put batter in a pastry bag. Pipe out 4 inch long fingers of dough onto paper covered cookie sheet. Cool, then remove gently from paper with a metal spatula. Put berries, organic sugar and orange juice in a heavy bottomed saucepan. In a bowl, whisk cold water and cornstarch. Whisk cornstarch mixture into berry mixture. Cook over medium heat, stirring constantly, until thickened and clear. Put in a bowl or a quart jar and refrigerate until needed. NOTE: If you mix cornstarch directly with hot liquids, it will form lumps that cannot be stirred out. Always mix it with cold liquid, than whisk it into the hot mixture. Put in a bowl. Whisk until smooth. Put serving dishes in the freezer to get cold. Slice a ripe banana and put it in a ziploc bag. Squeeze out excess air, seal bag, and freeze at least 2 hours. Put frozen banana in a food processor or blender. Blend until smooth and creamy. Measure buttermilk and set out on counter to warm slightly while you prepare the other ingredients. Pre-heat oven to 250º F. Spread oats on cookie sheet with sides. Place in oven. Toast 5 to 8 minutes. Let cool while you measure remaining ingredients. Melt butter in a small dish in the microwave for 30 seconds. Let cool while you prepare other ingredients. Measure flour and put it in a large mixing bowl. Measure sugar, baking powder, salt and baking soda. Add each to the flour. Put oats in a food processor or blender. Blend until it looks like coarse flour. Whisk oats into flour mixture. Break eggs into a medium bowl. Whisk in melted butter. Whisk in buttermilk. Pour liquid ingredients over dry ingredients. Stir with mixing spoon just until combined. Let set while you heat the waffle iron. CAUTION! The waffle iron is very hot! LET AN ADULT HELP YOU COOK THE WAFFLES. Put batter into the waffle iron. (mine is large and uses 1 1/4 cup batter) Close waffle iron and cook until steaming stops, or light indicates the waffle is done, about 4 minutes. NOTE: To save time, buy oat flour to use in place of the toasted, ground oatmeal. This recipe works with non-organic sugar. Place strawberries in a colander or strainer. Take to sink and rinse well with cool water. Put colander in a large bowl so fruit can drain. Put a strawberry on a cutting mat. Use a table knife (AKA butter knife) to cut strawberry in half and remove stem. Place in a small bowl. Repeat until all strawberries are done. Put in a small bowl. Cover with plastic wrap and refrigerate until needed. Put blueberries or raspberries in colander. Take to sink and rinse well under cool water. Sort berries, removing any stems, leaves or mushy or moldy berries. Put berries in a small bowl. Cover and refrigerate until ready to use. It is a 501(c)(3) charitable organization. CCK is active in three major areas: Educating consumers about eating local and healthy is the first. “We provide classes for youth in our after school and summer cooking camps, and workshops for adults looking to develop food knowledge and cooking techniques,” said Stephanie Willette, program and administrative coordinator. “We provide access to education and counseling support for people who want to start or grow a food-based business, such as ServSafe Managers courses, and connect food entrepreneurs, educators and local food enthusiasts with kitchens they can rent,” she said. CCK is looking for volunteers as well as board members, and anyone interested can learn more about doing so as well as events at the website. Looking back, a few things seems to highlight our year. • 41 kids and youth were involved in our programs, doubling the number from previous years. Lastly, we also expanded our partnerships and identified possibilities for more engagement with our partners. These recipes and cooking suggestions were used by Judy Radant in our latest “Healthy on a Budget” demonstration at Faith in Action. Great for fall and eating seasonally too. Put peanut butter, half of the jelly and water in a saucepan. Heat and stir just until smooth, about 2 minutes. Put oats (and cereal if using it) in a large bowl. Stir in peanut butter mixture. Press into buttered dish. Spread remaining jelly on top. Let cool, then cut into 12 bars. You can also add coconut, chopped nuts, chopped dried fruit, raisins or chocolate chips if you have them. Butter or spray muffin pans, or put in cupcake papers. Put juice, egg and fruit in a bowl. Stir together. Bake 12 to 15 muntes, or until muffin bounces back when pressed lightly with your finger. Put water in an 8 inch baking dish. Stir in rice. Add butter. Cover with foil or lid. Bake in oven. 20 to 25 minutes, or until rice is tender. Remove from oven. Fluff with a fork. At this point it can be seasoned ( I like a little butter, salt and pepper), or cooled and refrigerated for later use. Place in a plastic bag so it does not dry out. This will keep4 to 5 days in the refrigerator. If you want more rice, use 4 cups water and 2 cups rice and 2 tablespoons butter. Bake in a 9 inch x 13 inch baking dish. Use an 8” square baking dish. Put butter and water in a saucepan Heat to boiling. Put it in baking dish. Stir in rice. Cover. Bake 1 hour, or until rice is tender. Brush a baking dish with butter or oil. Put chicken breasts in dish. Brush with some melted butte or oil. Sprinkle on salt and pepper. Cover with foil and bake 25 to 35 minutes. Let cool. Cut into chunks, wrap or place in plastic bag. Refrigerate until ready to use. Cooked chicken keeps 3 to 4 days in the refrigerator. If you want to keep it longer, store it in the freezer. If you have it, add a pinch of ground sage, thyme, parsley, or ½ teaspoon poultry seasoning. work well for this dish. Place in a casserole dish. Bake 30 to 40 minutes, until hot in center. EASY BURGER DINNER Peeheat oven to 350º F.
Spread raw ground meat in a 2 or 3 quart casserole dish. Sprinkle with salt and pepper. Spread carrots then potatoes and carrots over meat and onion Sprinkle with a bit more salt and pepper. In a small bowl, mix soup and water. Pour over vegetables. Cover and bake 2 to 2 ½ hours, until carrots and potatoes are tender. This dish is also good made with cream of mushroom soup in place of the tomato soup, especially if you are using ground turkey. NOTE: When you add salt, SPRINKLE IT ON LIGHTLY. Too much is not good for your body. If you have herbs on hand, try substituting them for some or all of the salt. It’s not the first place people think of when they hear “craft beer,” but for Don Smith, the gateway to home brewing was the door leading into a Jet’s Pizza. The franchise’s Chelsea location offers a selection of Michigan beers on draught, and Smith and friend Mike Vanderspool made a point of sampling them. Shortly after Jet’s opened, the Chelsea residents’ hometown got its own microbrewery in 2012, and their interest grew. Following some other friends’ lead, Smith and Vanderspool eventually got some equipment and started making their own beer for fun. More than 120 batches later, the friends are turning their hobby into a business with the launch of Plow Point Brewing Co. While it won’t be Grand Rapids, or even Ann Arbor, anytime soon, Chelsea’s strong home brewing scene, good land for growing hops, Michigan-friendly taps in local restaurants and bars, and anchor brewpub are quietly making the small town a new destination on Michigan’s growing beer scene. Next month, Chelsea Community Kitchen will give enthusiasts the lay of the land, as the nonprofit local food business resource provider leads a farm-to-tap tour.SAVOR: A Local Hops and Beer Tour includes stops at Groovy Hopster Farm andChelsea Alehouse Brewery, as well as a brewing demonstration and tasting presented by Plow Point. Discounted tickets are available to guests who also sign up for this week’s Dinner and a Movie at Robin Hills Farms event. Chelsea’s home brewing scene has been bubbling for the last several years, according to Jane Pacheco, program coordinator for Community Kitchen. As with Smith and Vanderspool, she says many home brewers work together on small batches and then get together to swap stories with others. That’s certainly not a far-fetched goal. Chelsea Alehouse founder and owner Chris Martinson credits Chelsea’s home brewing community with fueling the town’s craft beer scene overall. He should know; Martinson made the leap from home brewer to brewpub proprietor himself. Times have changed since the town’s first microbrewery, Chelsea Real Ale Co., closed down more than 30 years ago. Martinson says area bars and restaurants have kept up with the rest of the state on craft beer offerings, and Alehouse beers are now served at several Chelsea spots, including Smokehouse 52, the Common Grill and the Inverness Inn. While IPAs are still king, there’s a thirst for other varieties as well, according to Martinson, who cites the success of a brown session beer the Alehouse served over the summer. “If you can brew a thoughtful and flavorful low-alcohol beer, there is definitely a market for it,” Martinson says, noting that barrel-aged beers are also a favorite. Also seeding Chelsea’s beer scene are local hops farms, including Washtenaw Hops and Groovy Hopster. The Alehouse’s Harvest Ale is brewed with fresh hops from the latter, and the brewery is working toward sourcing all of its hops from Michigan. 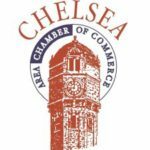 It’s a sentiment that pairs well with recent efforts to make downtown Chelsea a destination town, offering programming like its successful Sounds and Sights on Thursday Nights summer event series, which includes “local brew” in its list of attractions.